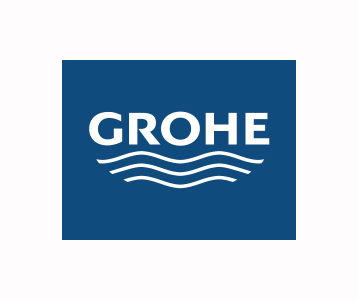 GROHE is the world’s leading provider of sanitary fittings and a global brand, dedicated to providing innovative water products. For many decades, GROHE has been committed to the brand values of technology, quality, design and sustainability. This illustrates their commitment to creating exceptional products that live up to the most uncompromising demands in terms of workmanship and functionality. Numerous high-profile projects around the globe are fitted with GROHE products, testifying to architects’, designers’ and developers’ preference for the brand. Furthering this, GROHE products bear the badge of quality “Made in Germany”, so whether you have purchased a state of the art shower or flush plates for your bathroom, you can be confident that GROHE can provide well-engineered water solution for every style of bathroom and for every budget.